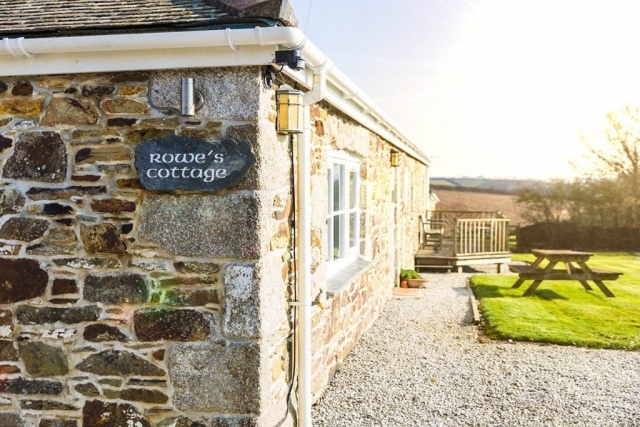 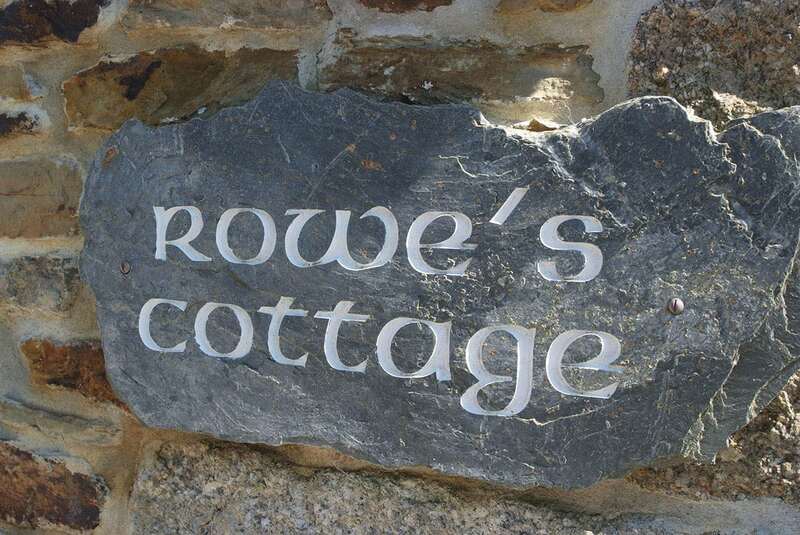 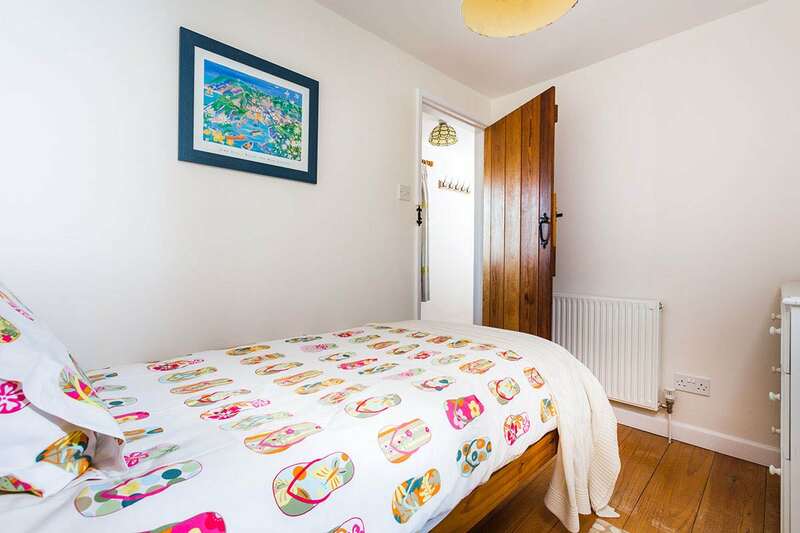 Rowes Cottage is simply idyllic. 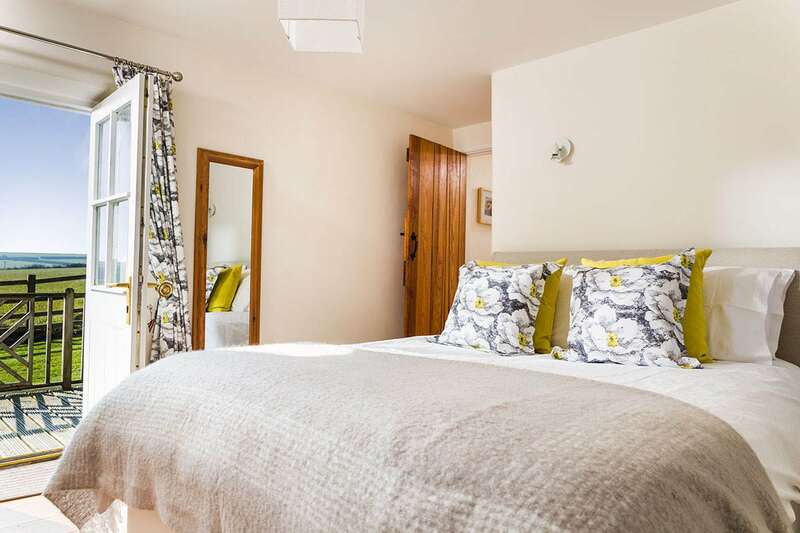 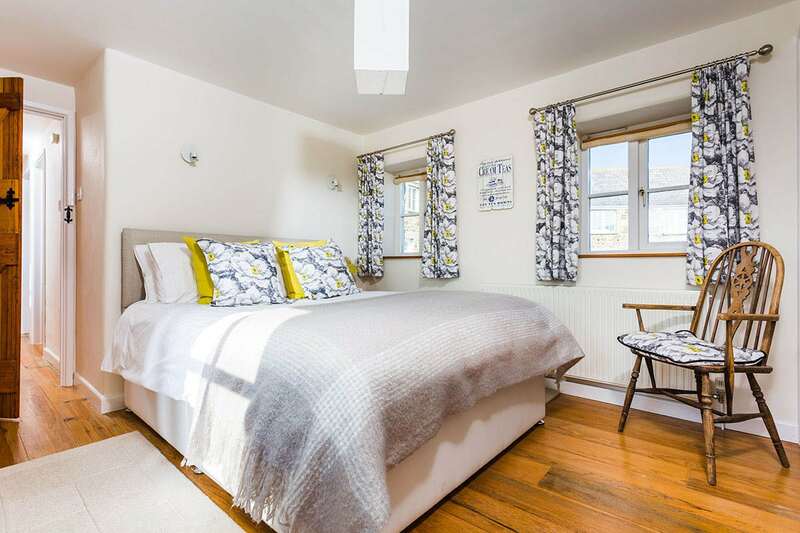 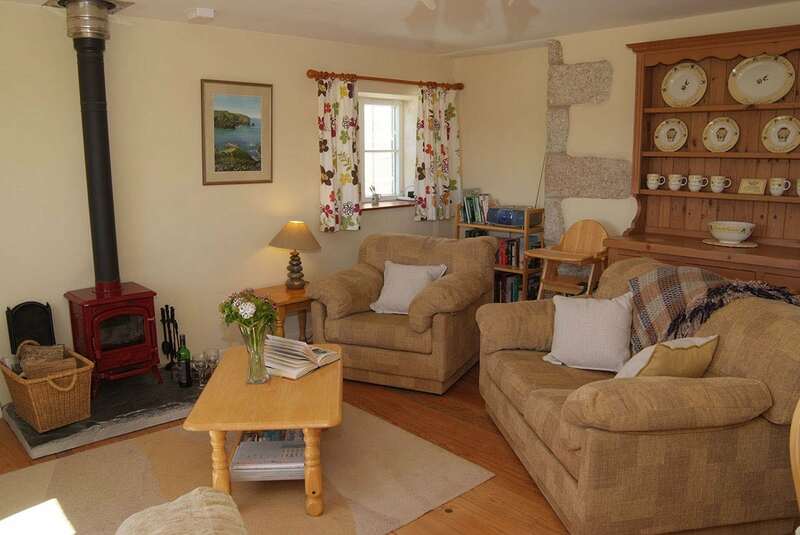 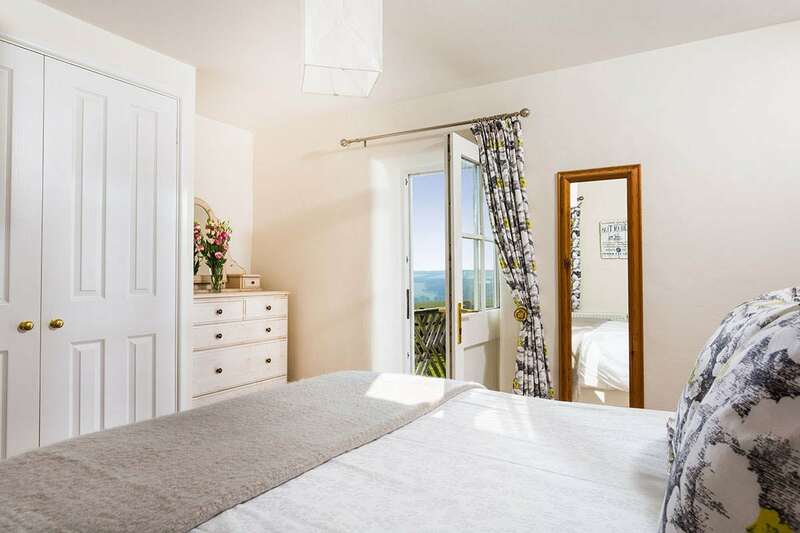 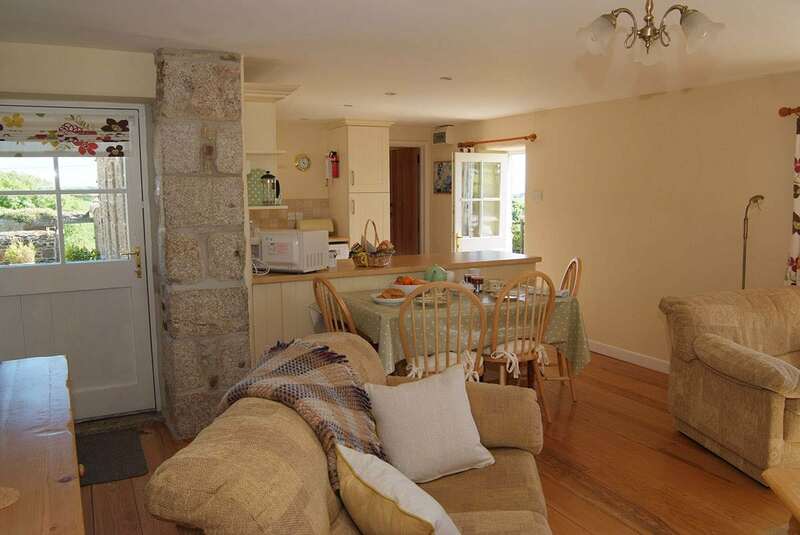 Perfect for couples or smaller families looking to relax and enjoy the charms of the Lizard Peninsula. 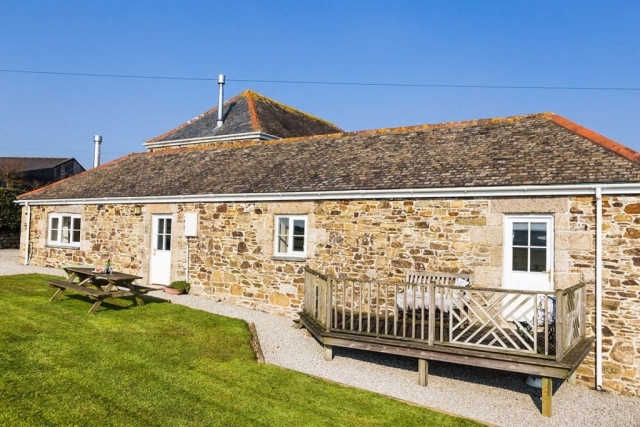 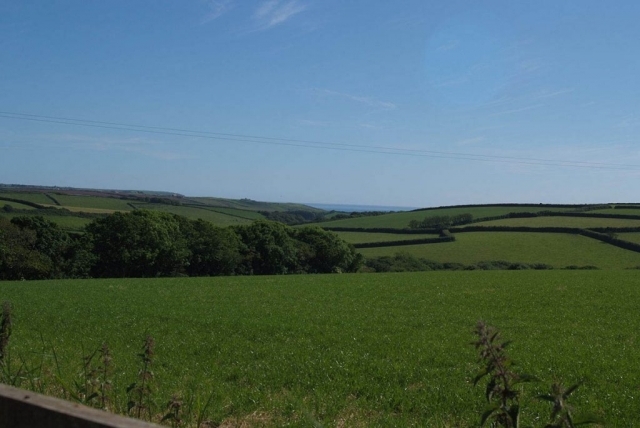 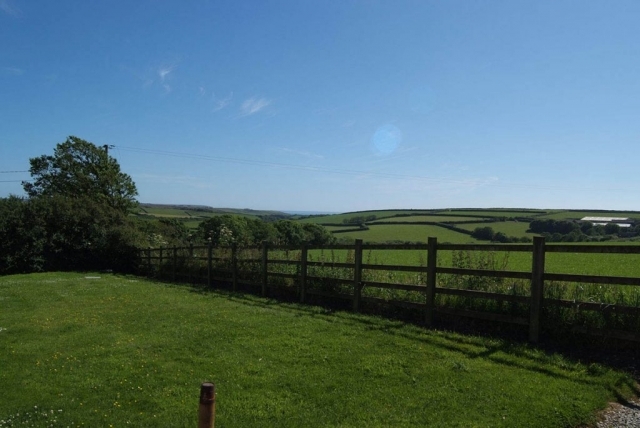 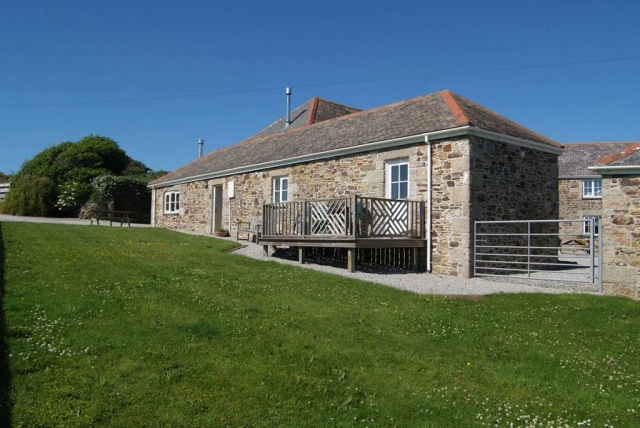 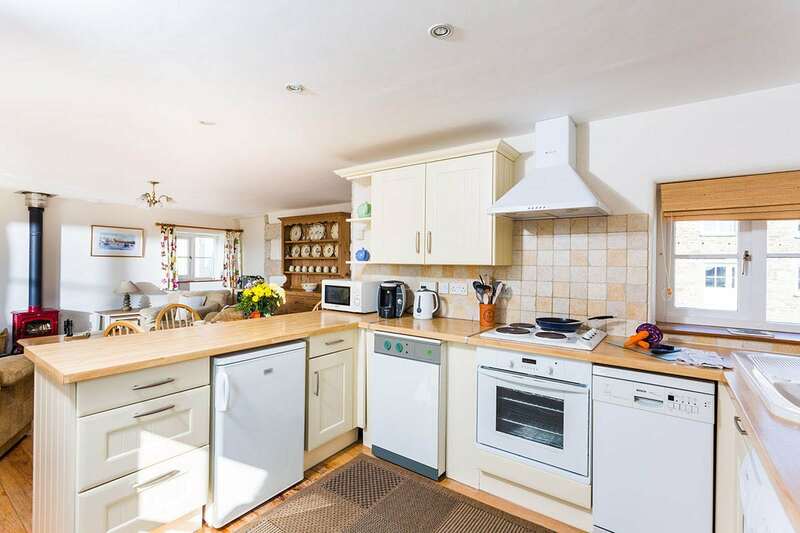 This highly popular single-storey, semi-detached barn conversion has far reaching views across fields towards the sea at Gunwalloe. 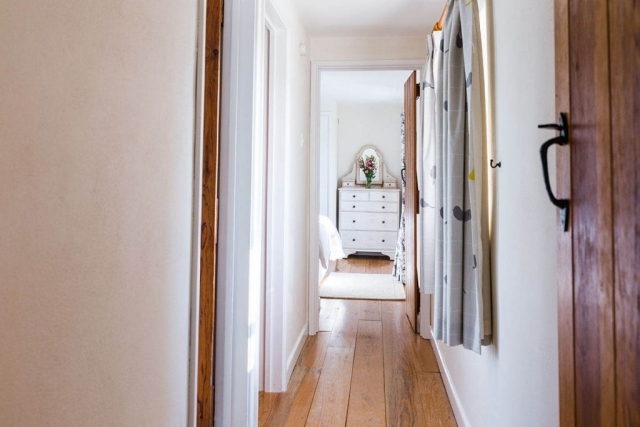 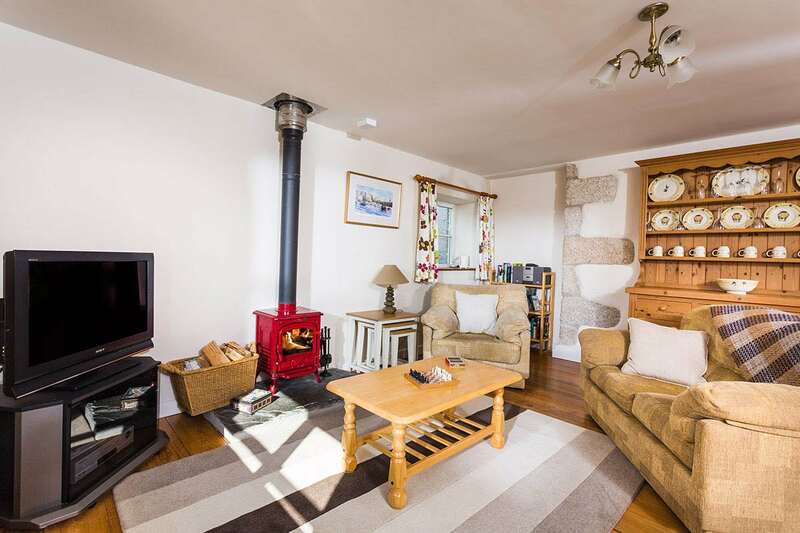 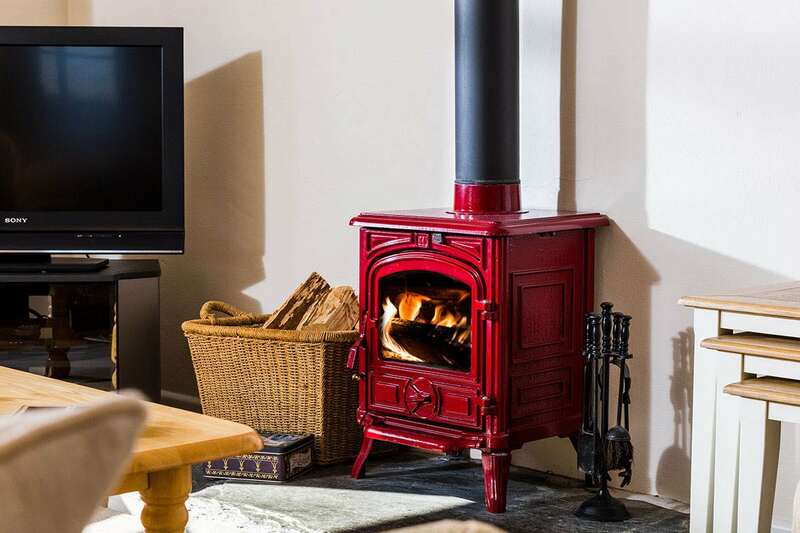 Thoughtfully furnished, the open plan living-room is comfortable, stylish and complete with a wood-burner and pitch pine floors throughout adding character to this contemporary cottage. 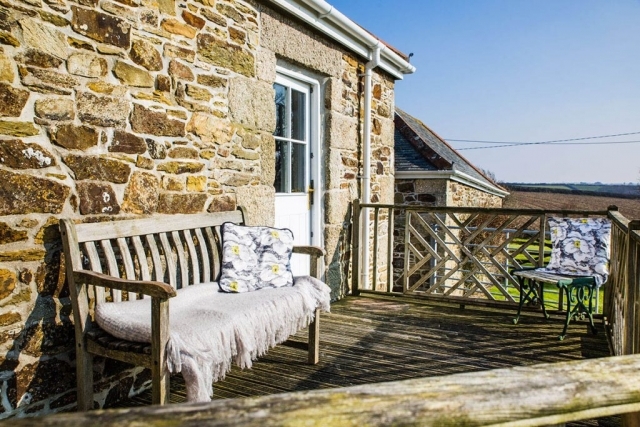 Your own private garden with a deck-area is a peaceful and beautiful spot to enjoy a glass of wine whilst watching the sunset. Five individual holiday cottages all unique in character and bursting with Cornish charm. 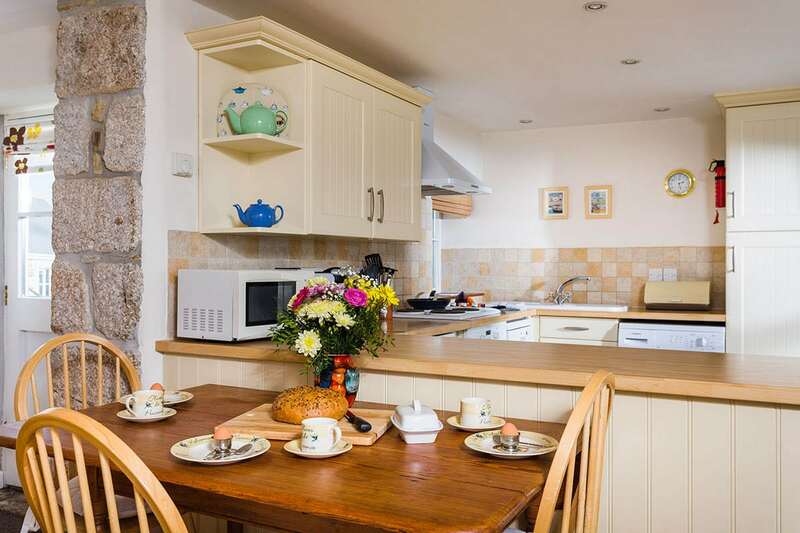 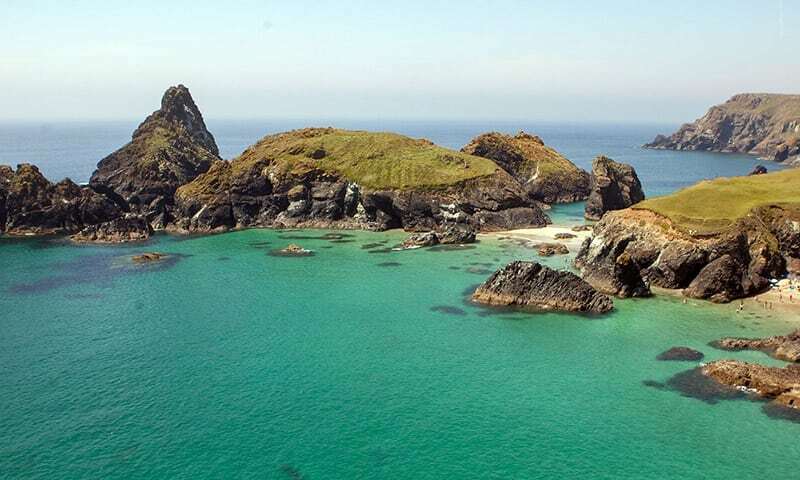 With nearby attractions such as the popular family beach Church Cove, the SW Coastal Path, Golf at Mullion, the beautiful Cadgwith fishing village and the Children’s favourite Flambards our luxury, self catering holiday cottages are in the perfect location to explore Cornwall.